Am I completely gay or is it OK that I find this photo hot? 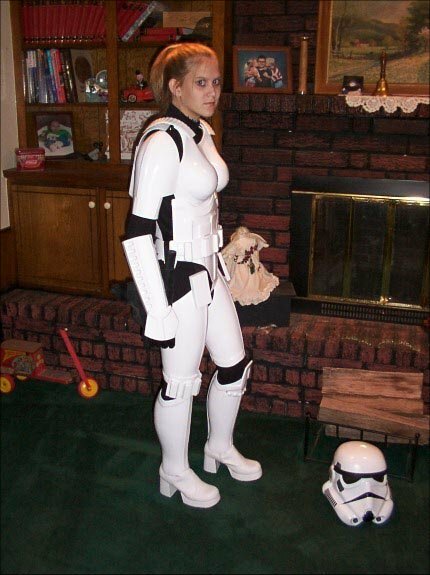 You should see if she has a date to the Star Wars Cruise. With mask off = HOT! It would probably be hotter if you photoshopped in Jabba the Hut drooling all over her and she had some chains. You're not gay, but the decor behind her? Totally gay.